Sitting Santa is beckoning! He has his sack of presents and he’s ready to spread the joy of Christmas. Enjoy the fine details of this figurine – the package under his arm, the gold laces in his boots, and the knitted jumper under his jacket. 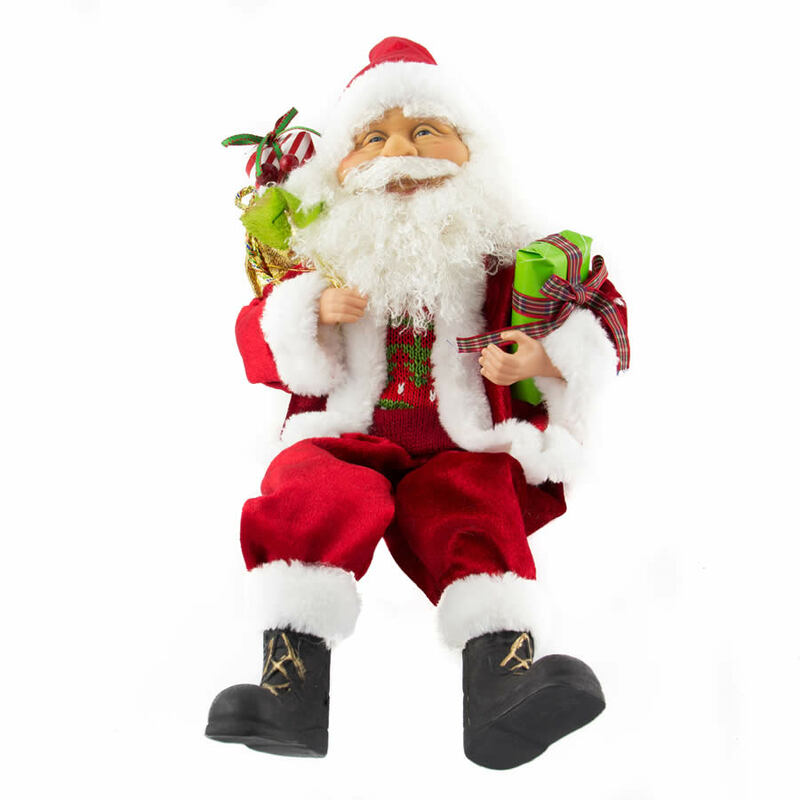 Sitting Santa is a charming traditional piece that would be a welcome addition to the home, and would make a fine gift to share with a friend or family member. Give Santa a place to rest in your home this Christmas, and watch the smiles he elicits from all who visit the home!